To be fair, the writing has been on the wall for a long time. Revenue from banner advertising has been steadily tapering for the last few years, and, as I’ve written earlier, we’ve crossed the tipping point of ad-blocker usage. 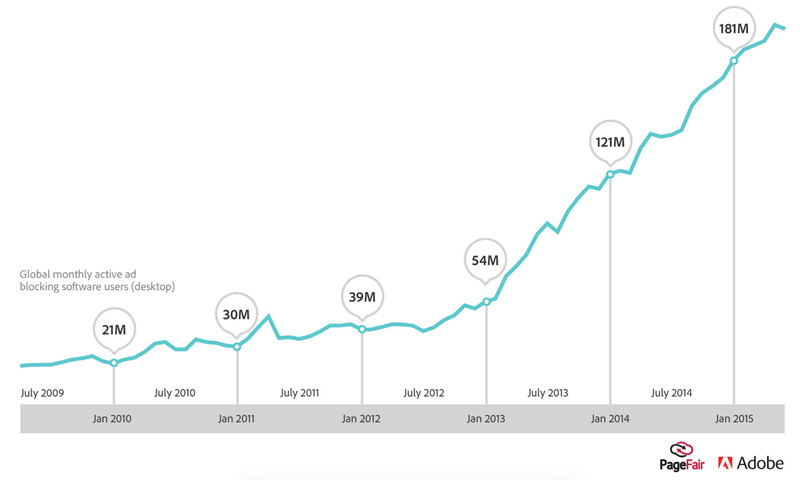 PageFair, which has been doing an excellent job of tracking this trend, makes it very easy to see how ad-blockers have skyrocketed in popularity since 2013. 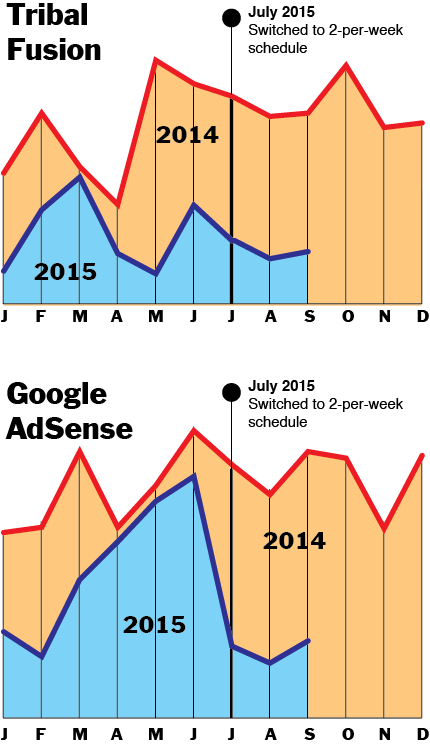 Comparing my 2014 ad revenue to this year’s numbers made it crystal clear. I use Google DFP to administer ads from several sources. Tribal Fusion and Google AdSense are the top two. Here’s a comparison of each. However, it’s worth noting that the TF revenue is about 4-to-5 times larger than what I’m making through AdSense. Unfortunately, ad revenue was a major factor in the traditional webcomics business model. The truth is, webcomics were never given away for free. Primarily, these sites generated income by turning pageviews into banner-ad revenue. That market is changing. And as a result, our business model is going to have to change — significantly. Here are a few thoughts on how our business may change over the course of the next several months.